What is the greatest challenge you have faced during your entire journey as a sportsperson? When I could not cut weight at the first Olympic Qualifier in Mongolia and had to subsequently miss the competition, that was one of the most trying periods for me. I was so close to realising my dream of qualifying for the Olympics and I had fallen short. However, I am glad that I managed to stay positive and finally seal the Olympic spot in Turkey. What is your training like for the Olympics 2016? I have been working on strengthening my defence. A strong defensive technique is key in high-pressure events like the Olympics. I am an aggressive wrestler but sometimes I do tend to disregard my defence. How have your sisters inspired you to take up wrestling as a sport? Geeta has been one of my biggest inspirations. She was the one who showed me that nothing was impossible. 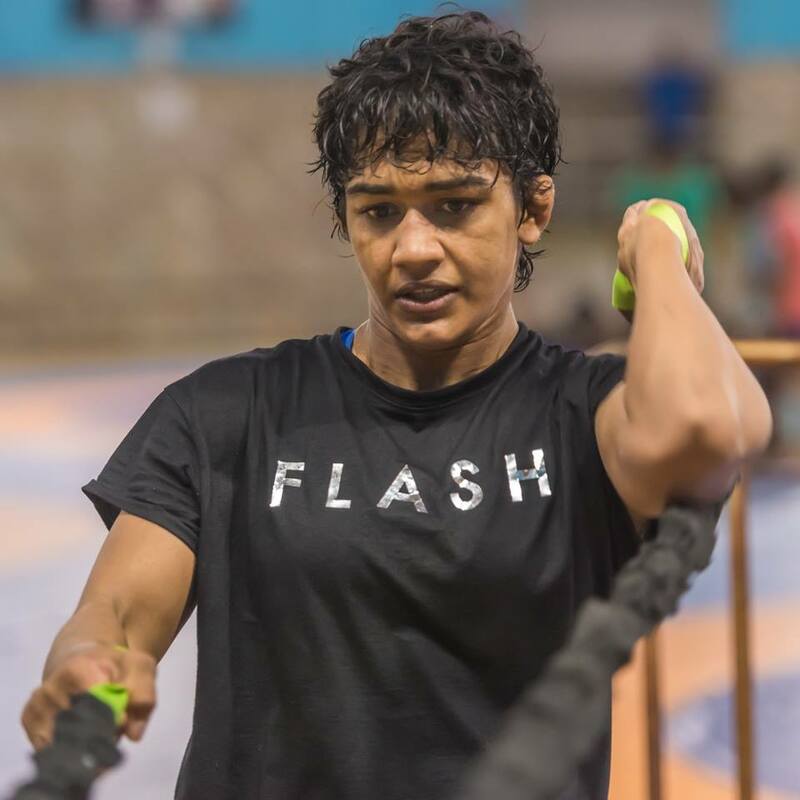 She won a Commonwealth gold, a World Championship medal and also became the first woman to qualify for the Olympics in women’s freestyle wrestling. Babita is also a great source of inspiration and learning. She is a very tough competitor and will always push herself to do better be it in training or on the mat. How does it feel to perform on the global stage? It is a very satisfying feeling but I don’t want to be too happy about it, just yet. There is still a long way to go for me. I need to perform well at the Olympics. Only then can I proudly say that I have made it. What is the one piece of advice that you would like to give sportswomen in the country? Chase your dreams. Don’t let anyone tell you that you are not good enough. Also, working hard at the sport you play is non-negotiable. How does it feel to be representing India at the Olympics? It is a wonderful feeling. But, I don’t want to stop with just being happy with the tag of an Olympian. I want to do the best that I can on the big stage, take my chances and hopefully win a medal. What is your training like for the Olympics? Is there anything different or specific that you are working on? I have been working on my speed and also on my endurance. It is absolutely essential that I am at the peak of my fitness if I have to succeed on the mat against some of the best wrestlers in the world. What do you think is the biggest challenge associated with wrestling? The biggest challenge associated with women’s wrestling is that a large number of parents are still skeptical about allowing their children to wrestle. That is a big hindrance to our sport. People are still scared and think that wrestling is just for men, that it is very violent and often think about what others will say if their girl starts wrestling. However, things are slowly changing. My father (Mahavir Phogat) showed the country that girls are just as good as boys. India’s women wrestlers have consistently won medals on the big stage. What is your father’s most remarkable quality according to you? His ability to only channel positivity towards us is something that is truly remarkable. When we were growing up, things were not easy. A lot of people raised doubts about us wrestling, what we wanted to accomplish and I am sure it was a very difficult time for my father. However, he ensured that all of that negative energy never really entered the training hall. He was always telling us what we needed to do to improve without letting any of that outside pressure get to us. Who has been your greatest support system? Undoubtedly my father who has helped us reach here. Our family members have always been by our side, and JSW Sports have been supporting us in this journey. How does it feel to be an inspiration to so many women across the country? It is a great feeling, one that gives me a lot of satisfaction but at the same time a sense of responsibility of not doing anything that will chip away at the position that I find myself in.